You know that I enjoy sharing cats with you who are looking for furever homes. Sometimes, they are diabetic cats like me. Recently, a cat like that who I shared with you is Tate, who was brought to my attention by Lucky. I like to focus on special needs cats, even if they are not diabetic cats, because it is hard to find them a home. My current visitor, though, is not a special needs cat at all. 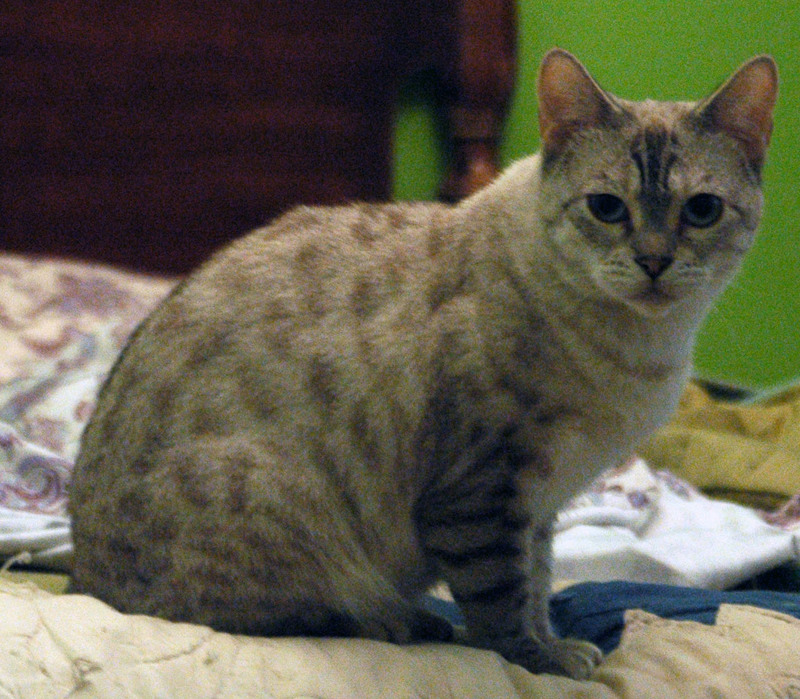 She is a very pretty snow bengal, and she has very pretty blue eyes. Her story is pretty sad, as the humans who were taking care of her could not take her with them. So they gave her to Joanie & Suzie’s Cat Adoptions. She was in a cage at a PetSmart that my human goes to in order to get my food and litter. He has walked by the adoption center many times, and played with the cats in there but never wanted to take them home. That was until he saw Marley. Well, a cat’s word means something, so I allowed my human to bring this girl home. She is a lot more shy than me and Jacey, but she is a sweet girl. She still doesn’t quite like it when our human comes to pet her, and she only allows him to approach in certain ways. And when it comes to me and Jacey, she really doesn’t like us trying to play with her. She will growl at us, and run away to go hiding under the bed. My human and I are stubborn, though. In some ways, it is good we are with each other, although as a diabetic cat I don’t always like him stubbornly insisting on giving me ear sticks. But when it comes to Marley, there is no pain involved. We want to make sure she is comfortable until she finds a furever home. Would you like to help this diabetic cat get more room? 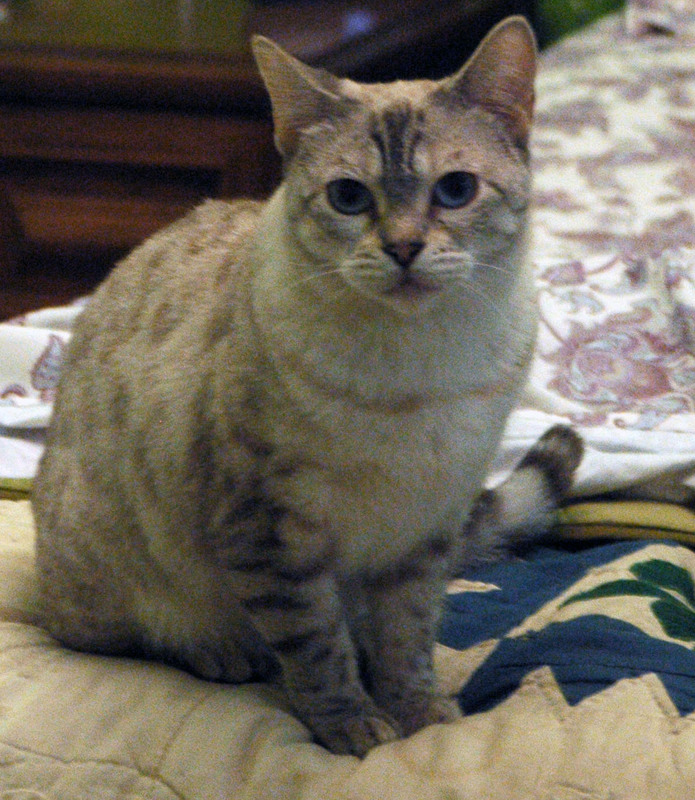 Please contact Joanie and Suzie’s Cat Adoptions and let them know you want to adopt Marley.